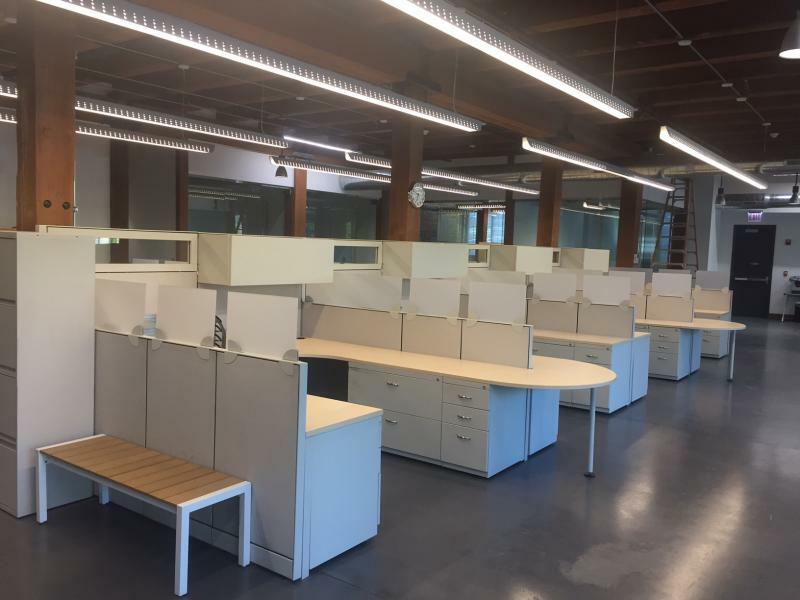 New Office Cubicles, Used Office Cubicles, Refurbished office Cubicles. 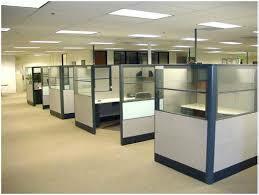 High quality and top brands of office Cubicles. 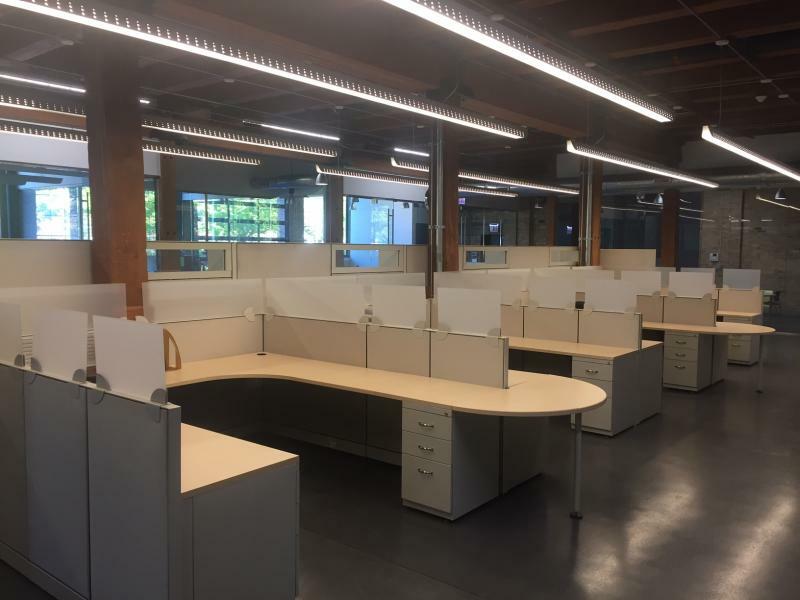 Contact us today to see how Used Office Furniture Chicago can save you time and money. Includes (1) Box Box File Pedestal. Additional Option: Ergonomic Sit to Stand electrical base with programable control. Demensions: 72" X 72"H X 68" & H68"
Includes the following: Binder bin storage, Box Box File Pedestal and 2 Drawer pedestal or Lateral file per Station. 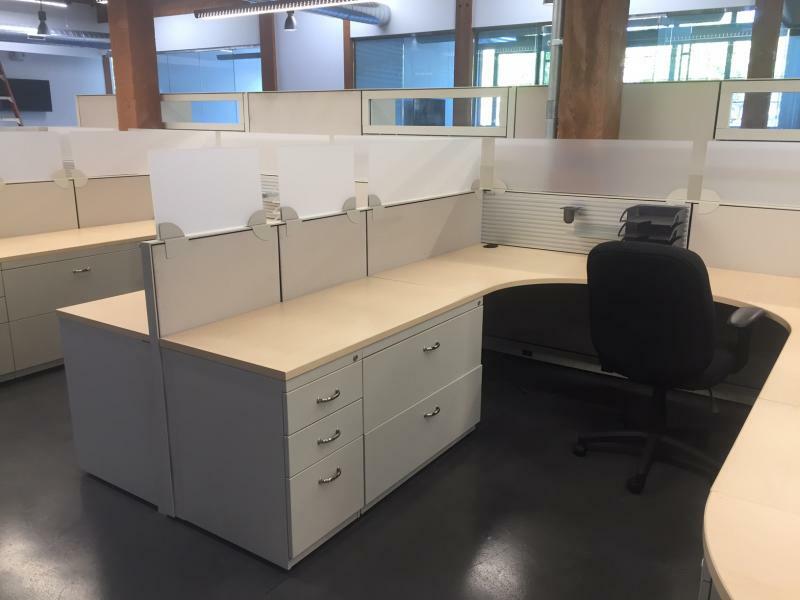 Herman Miller AO2 Work Station 6' x 6' x 48"
Dimensions: 16' x 8.3' x64/42"
DESCRIPTION: Refurbished Office Cubicle, with New table tops ( Color Cherry) New Fabric ( Sparkle Alloy ), New Pait Graphite. 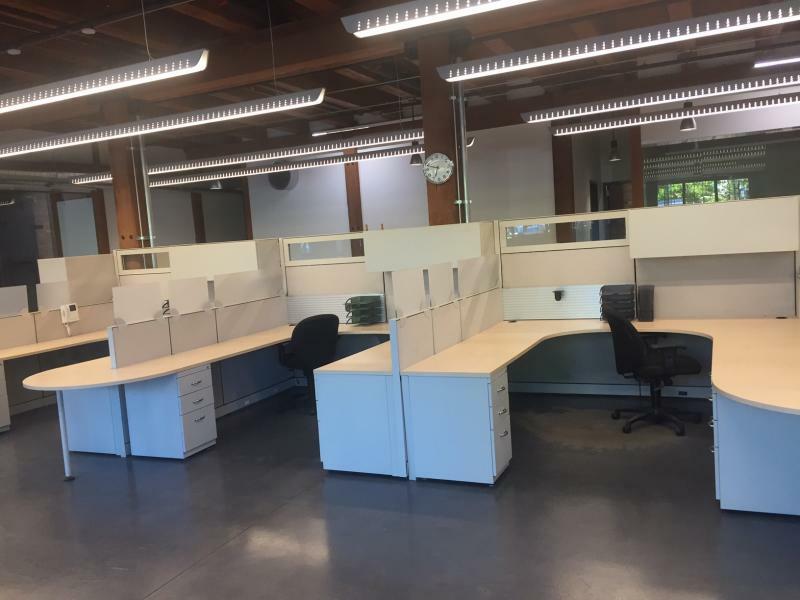 Includes the following: Box Box File and File File Pedestal, Extended Corner work Surface 36x72x24, Rectangular Work Surface 36x24, Corner Bracket Support, (2) pairs of cantilevers. OPTIONS: Also available in any of our standard paint colors and laminate finishes, or choose your own custom colors for a modest upcharge. . Call for details and color choices. 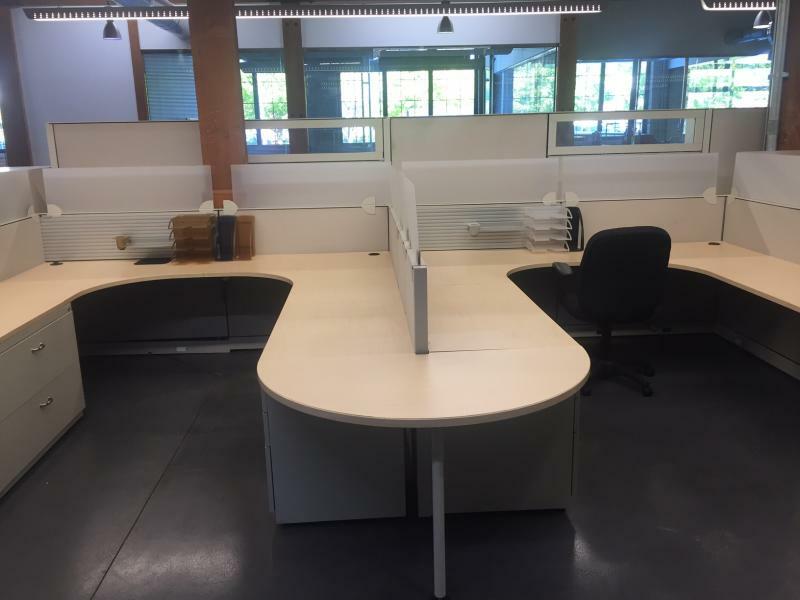 Qty: "Configuration of 4 in a line or back to back"
Components: (4) File/File (6) 48x24 Work Surface, (3) 48' w x 54" h Panels .